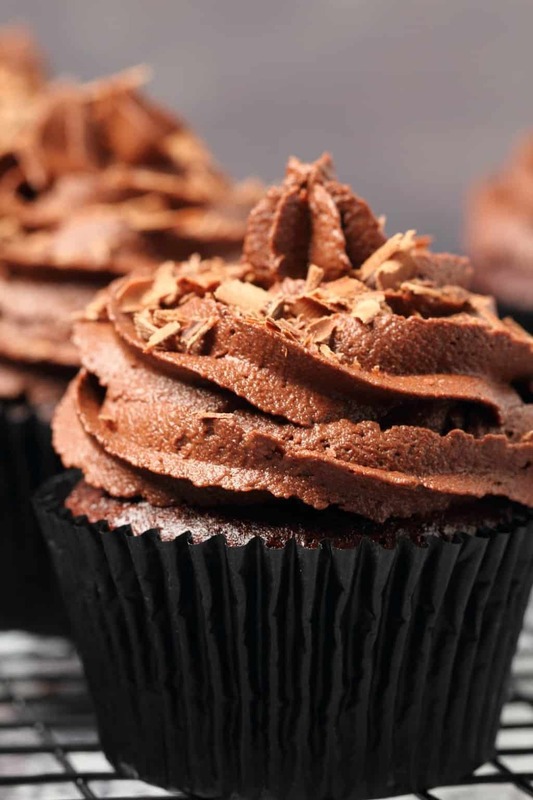 These classic vegan chocolate cupcakes are moist, fluffy, mega-chocolatey, and topped with the smoothest, silkiest vegan chocolate buttercream. 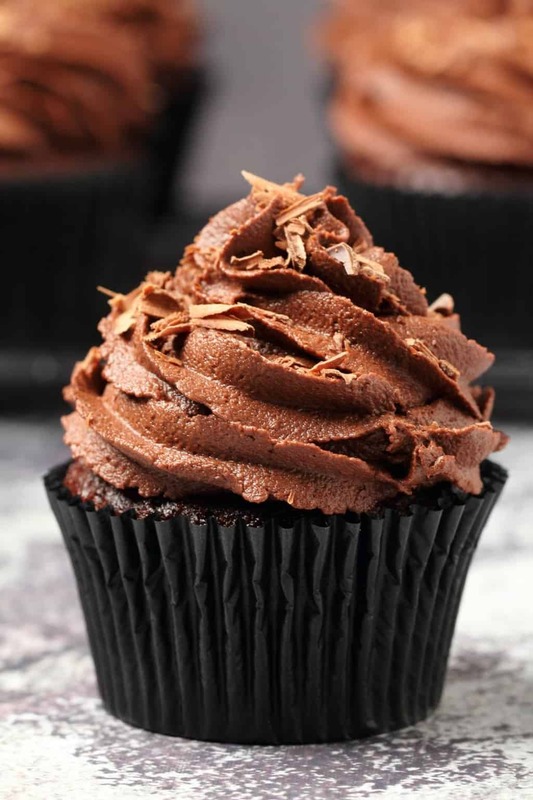 These vegan chocolate cupcakes are ultimately moist, fluffy, spongey and topped with the most deliciously rich smooth and silky vegan chocolate buttercream you’ve ever tasted. 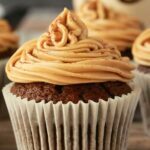 I decided to call this a ‘classic’ vegan chocolate cupcakes recipe because this is really a classic recipe you’ll come back to again and again. 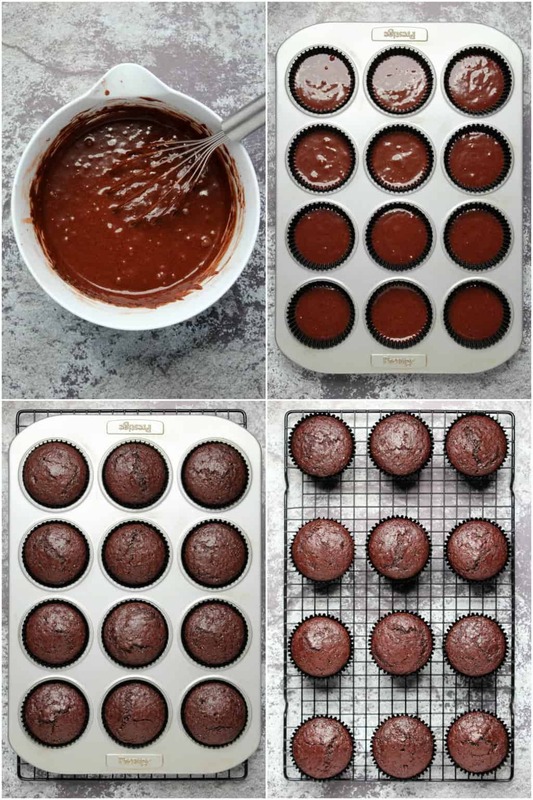 They are super simple to make, using very simple ingredients but the results will shock and astound you because no one in the world will be able to tell these are vegan cupcakes by the taste. They are every bit as good as any cupcake you’ve ever had, likely better. I hope this doesn’t come off as braggy, but the reason I’m so confident about this is because I bake A LOT, and I really know a great cupcake from one that is just adequate these days and these are definitely in the category of great. 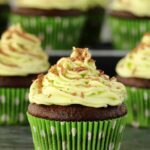 This vegan chocolate cupcakes recipe is based on our recipes for vegan chocolate cupcakes with mint buttercream frosting and our gluten-free chocolate cupcakes. 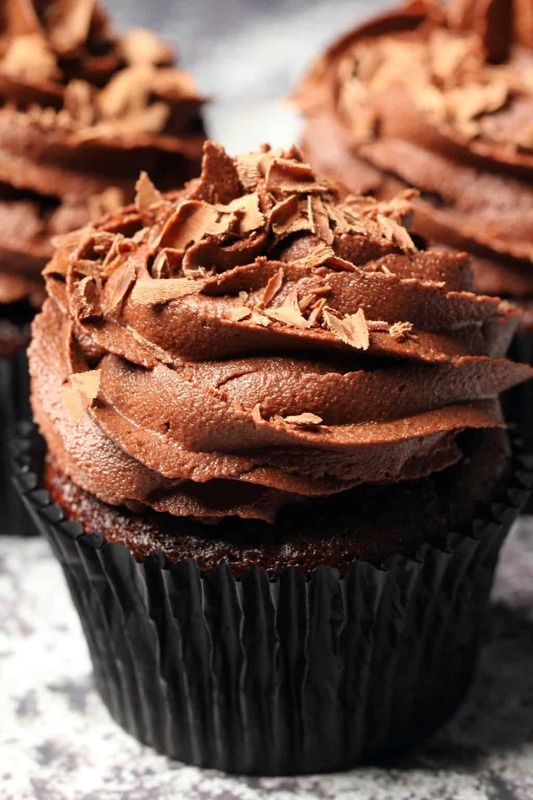 But I wanted to make these even easier (if possible) and just go for the really classic version which is chocolate buttercream frosting on a classic chocolate cupcake. I don’t use an electric mixer for the cupcakes themselves, but I do use it for the frosting. So the cupcakes are just a simple case of throwing everything into a mixing bowl and whisking it up with a hand whisk. You only need to mix until everything is just mixed, there might be tiny lumps and that’s okay, you just want to be rid of any big lumps. Then I transfer the batter to my measuring jug that has an easy pouring nozzle (half the batter at a time as my jug is not super large) and then use the jug to pour the batter into the cupcake liners. You can make the frosting while the cupcakes are baking, so you don’t add extra time to the recipe. When the cupcakes are baked, remove them from the cupcake tray and transfer them to a wire cooling rack to cool and when completely cooled, pipe on your frosting. Top with grated vegan chocolate. Don’t overmix. You just need to give it a quick whisk with your hand whisk until well combined. I don’t mean you can’t mix it properly, I just mean you don’t want to keep whisking way past the point when everything is properly combined. Weigh your flour. If you weigh your flour you will have the best chance of a fail proof recipe. Flour measures are very easy to go wrong, through no fault of yours, flour is just tricky! I have been baking for a long time and I still test myself sometimes doing the spoon and level method which is the most accurate way to measure without weighing. You spoon the flour into the cup and then level off with a knife. And then I weigh it and see how close I got. And it’s usually close but not exact. Baking is very precise so weighing your flour is your best bet for a perfect result. I usually weigh other ingredients like sugar and cocoa as well, but these are less crucial. If you use a tiny bit more sugar than needed it’s unlikely to mess up your recipe. But where there are weights given in the recipe, and you have a food scale (I recommend a food scale!) then you might as well weigh them for perfect accuracy. Can I use almond milk instead of soy milk? Yes you definitely can. I reckon you can use any non-dairy milk, but the ones I’ve tested are almond and soy. Can I use a different vegetable oil? Yes, you can use any vegetable oil you like. If you want to use coconut oil then make sure it’s melted first. My favorite oils to bake with are extra virgin olive oil, canola oil and coconut oil. I know extra virgin olive oil is an odd choice, but I have always loved it for baking and never had an odd flavor resulting from using it. I used canola oil in this recipe but any vegetable oil will do the job. Why is there vinegar in this recipe? The vinegar reacts with the baking soda and causes a wonderful baking reaction that works fantastically in vegan recipes. Don’t skip it. You can use white vinegar or apple cider vinegar. Don’t worry you will not taste vinegar in the end result. Where is the egg replacer in this recipe? I used some applesauce instead of a flax egg as an egg replacer in this recipe. If you happen to have ground flaxseed meal on hand and no applesauce, you can switch the applesauce for 1 flax egg. Funnily enough though I don’t always find an egg replacer to be necessary at all, if you look at our vegan vanilla cupcakes, those work great without it. Can I make these cupcakes gluten-free? 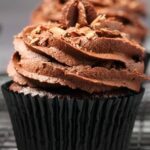 We have an amazing gluten-free chocolate cupcake recipe that you will absolutely love, I recommend you try that one. 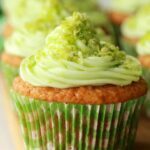 Can I use rice flour, almond flour, coconut flour in these cupcakes? No, if you want to make these cupcakes gluten-free then see the answer above. 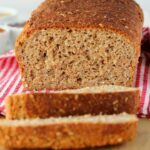 Single types of flour will not work in this recipe, it needs to be a gluten-free all purpose flour blend and the recipe needs some adjustments to make it work perfectly. Our recipe linked above will surprise and delight you! How do I store these vegan chocolate cupcakes? You can store them at room temperature (covered) for a few days or store them (also covered) in the fridge where they will last for up to a week. Can I turn this into a layer cake? Sure, this recipe adapts to two 7-inch cake layers. Just bake the layers for 30 minutes instead of 25. Otherwise check out our classic vegan chocolate cake for a 7-inch layer cake, or our best vegan chocolate cake recipe that can be made in either 8-inch or 9-inch cake pans. What kind of vegan butter do you use in the frosting? I don’t often mention brands because we have a very global audience of readers, so what I use may not be applicable to you. 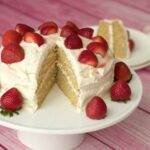 I have lived in a few places since starting this blog and have used a variety of brands, vegan-made brands like Earth Balance and Nuttelex and other brands that are just ‘accidentally’ vegan and all have worked great in my frostings and baked goods. The main difference I see is that different brands have slightly different water contents, a brand that is more firm at room temperature will have a lower water content than one that is always very spreadable. This can impact how much non-dairy milk you add to a recipe, so if you just keep that in mind, then you can adjust as needed. Add your non-dairy milk in slowly and only use as much as needed to get to the right consistency, you might not need as much as I use or you might need a small bit more. And for those who are newer to vegan baking, ‘vegan butter’ just refers to a vegan buttery spread, yes, like margarine – but not all margarine is vegan. 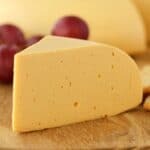 You can make your own homemade vegan butter, we have a great recipe for it, but it’s not my favorite for use in frostings, though it works great in other baked goods. This is because it’s based on coconut oil so it can go very soft at room temperature especially if you’re having hot weather and very hard in the fridge. But it works in a pinch if you don’t have access to a vegan butter/margarine in your country. To frost these we used a new tool we’ve acquired which is a Wilton Dessert Decorator Pro. It works great for vegan whipped cream and for frostings. We used it for piping the whipped cream onto the apple cake in our vegan whipped cream video. Up to now I’ve been using a junky plastic piping syringe and I still love it! In all my years of baking I have never loved the piping bags and always use a piping syringe. 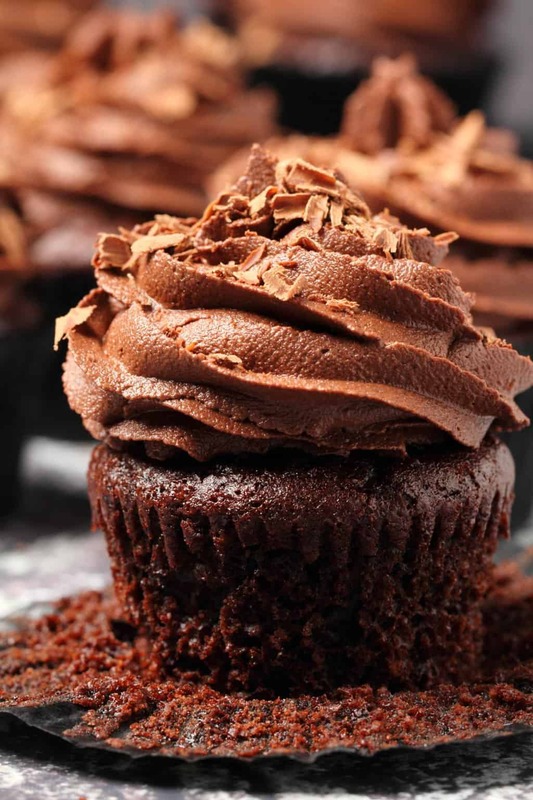 You’ll love this vegan chocolate cupcakes recipe! Beautifully moist. Some people hate this word but I don’t know why and I use it all the time! But I’m a person who bakes, so moist is a great word. 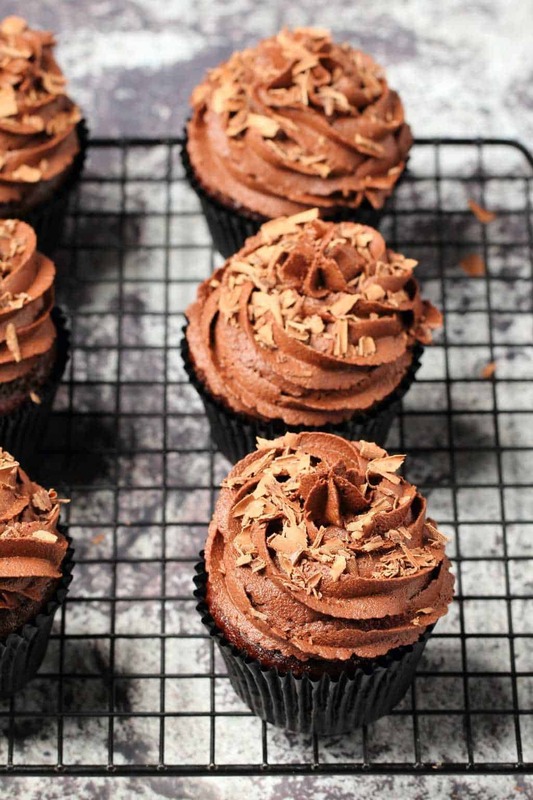 You definitely want your cupcakes to be moist and these definitely are. Classic. 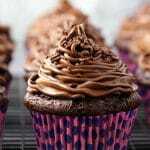 This is just a classic vegan chocolate cupcakes recipe that you will never go wrong with. It’s the basic, straightforward real deal that will totally delight your tastebuds. Light and spongey. These are wonderfully light and spongey, which we are absolutely going for here with a classic cupcake. Wonderfully chocolatey. 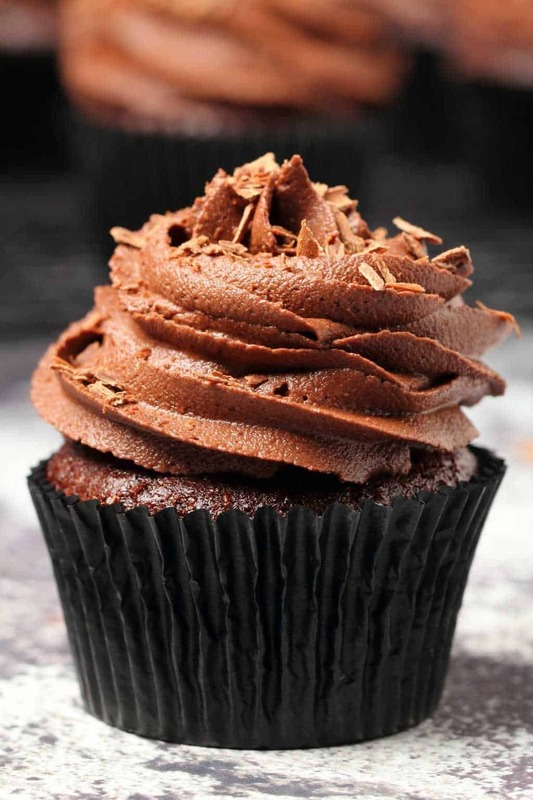 It has to be chocolatey because it’s a chocolate cupcake. You need to taste that chocolate and oh my you definitely do. Super easy. This is such a simple recipe, requiring regular pantry staples for your ingredients and taking minimal time to prepare. 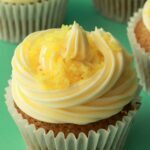 Our vegan lemon cupcakes are packed with all the lemon flavor you could want and are a gorgeous treat. 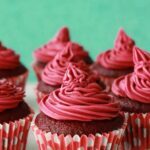 Our vegan red velvet cupcakes have a beautiful red color and a velvety red velvet frosting too! Our vegan oreo cupcakes have whole oreos baked into the bases and are topped with vanilla frosting and crumbled oreos. 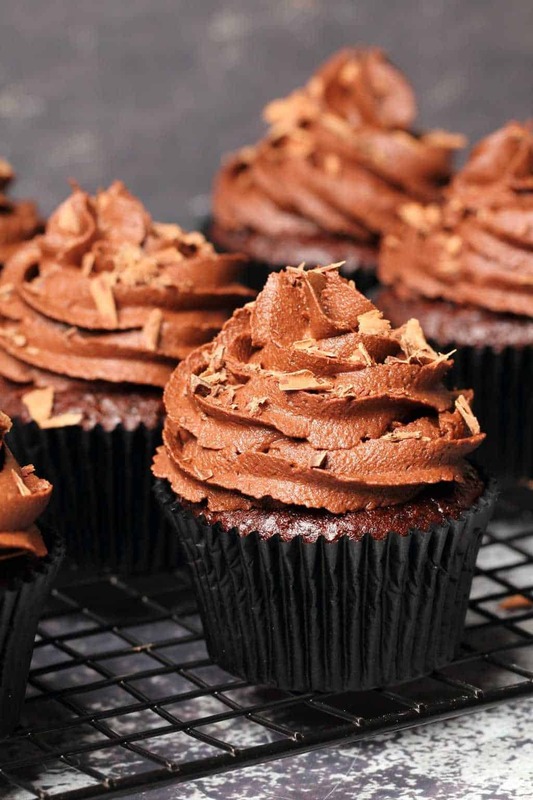 Let us know in the comments what you think of this vegan chocolate cupcakes recipe and please do rate the recipe too, it’s so helpful! Thanks a million. Sign up to our email list while you’re here and we’ll send you a gorgeous (and free) recipe ebook containing 10 delicious vegan dinner recipes and you’ll also be the first to know when new recipes are posted to the blog. 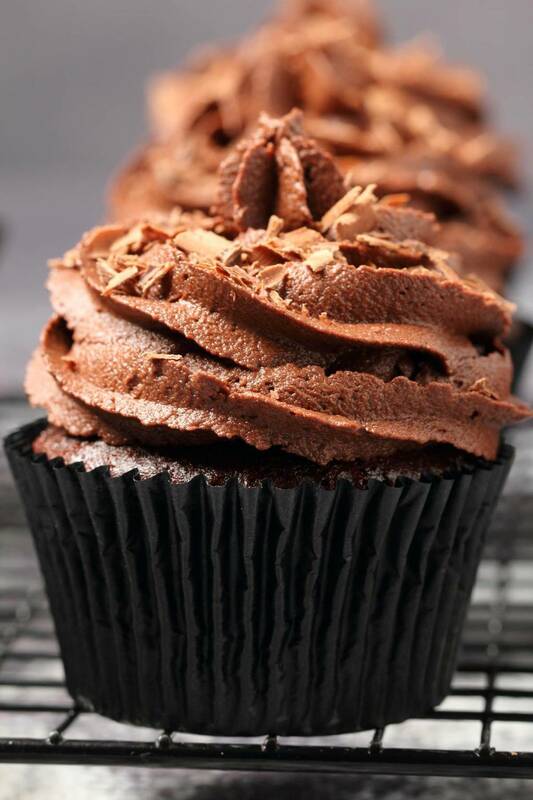 Classic vegan chocolate cupcakes topped with the smoothest, silkiest vegan chocolate buttercream and chocolate shavings. 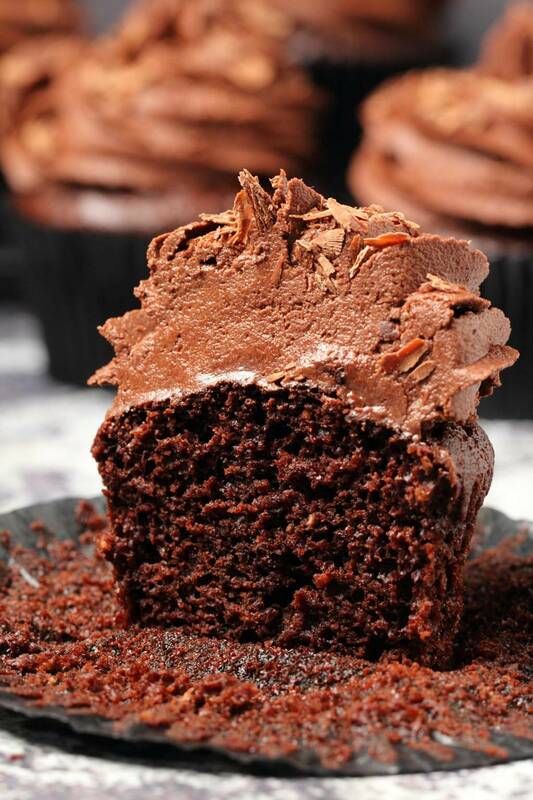 Moist, fluffy and mega-chocolatey. 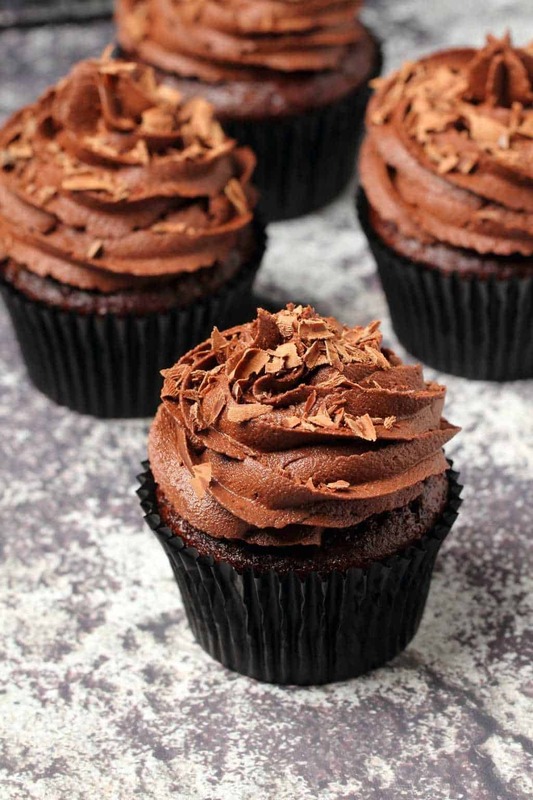 The perfect vegan chocolate cupcake recipe. Preheat the oven to 350°F (180°C) and line a cupcake tray with cupcake liners. Set aside. Sift the flour and cocoa into a mixing bowl and add the white and brown sugar, baking soda and salt and mix together. Add the soy milk, vanilla, oil, applesauce and vinegar and mix in. Use a hand whisk to whisk out any big lumps. Place into the oven and bake for 25 minutes or until a toothpick inserted into the center of one of the cupcakes comes out clean. Let cool for a few minutes and then remove the cupcakes from the cupcake tray and transfer to a wire cooling rack to cool completely. Prepare your frosting by adding the vegan butter, powdered sugar, cocoa powder, vanilla and salt to a mixing bowl. Using an electric mixer, start at slow speed, gradually increasing speed. Add in the soy milk slowly, only as much as needed to get the right consistency. When your cupcakes are cooled, pipe on the frosting and sprinkle with grated vegan chocolate shavings. *You can use almond milk instead of soy milk (in the cupcakes and frosting) if you prefer. *You can use a different vegetable oil other than canola if you prefer. *Apple cider vinegar can be used interchangeably with white vinegar. *For the frosting, the amount of non-dairy milk you will need to add will depend on the water content of the brand of vegan butter you use. I used all 3 Tbsp of soy milk. You may need less (higher water content vegan butter) or more (lower water content vegan butter). So just be careful with the addition of the non-dairy milk, add it in slowly and as much as you need for the perfect thick frosting consistency for piping. *This makes a good amount of frosting, enough to frost each cupcake quite liberally (as pictured). *Nutritional information is for 1 cupcake of 12 including frosting and chocolate shavings. *Recipe adapted from our Vegan Chocolate Cupcakes with Mint Buttercream Frosting. Made these this afternoon. Totally awesome!! I love that it makes a lot of frosting! I even have extra & I use a lot! Lol. This recipe is delicious. I replaced soy milk with water (about 3/4 cup), and applesauce with half smashed banana. I have no experience with vegan cooking and this was really easy to make. Thank you very much, Allison. Greetings from Argentina! I love love love these cupcakes. Made them for a party and they were literally gone in 60 seconds. I only got the chance to tell people they were vegan after I was attacked by a sea of hands and the tray was emptied. Thank you for an outstanding recipe. Wow. These cupcakes turned out incredible! My husband ate three! 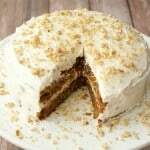 The cake is moist and flavorful while the frosting is very smooth and not overly sweet. I made the recipe exactly as stated. This is a keeper and will be made over and over. Thank you! So happy to hear that! Thanks so much for sharing Bernadette! Could you add oreos to the bottom of these cupcakes? I know you have an oreo cupcake recipe…just wondering if this sponge is better, and if oreos could be added. Thanks! Are these safe to store in the fridge or best out at room temp? Either way is fine! If they’re at room temperature, they will have a shorter life span. They will last longer in the fridge, and be totally delicious as long as they’re in a covered container (so they don’t dry out). Hi I recently made these scrumptious cupcakes, they are divine. I want to know can I reduce the sugar quantities at all, would this affect the outcome at all ? Also could I use another oil like Olive oil ?